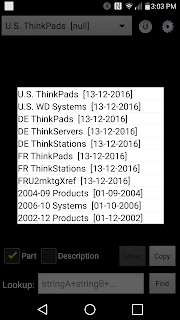 The final update to LenovoLook Pro for Android is now posted on the Google Play Store. What's new ? 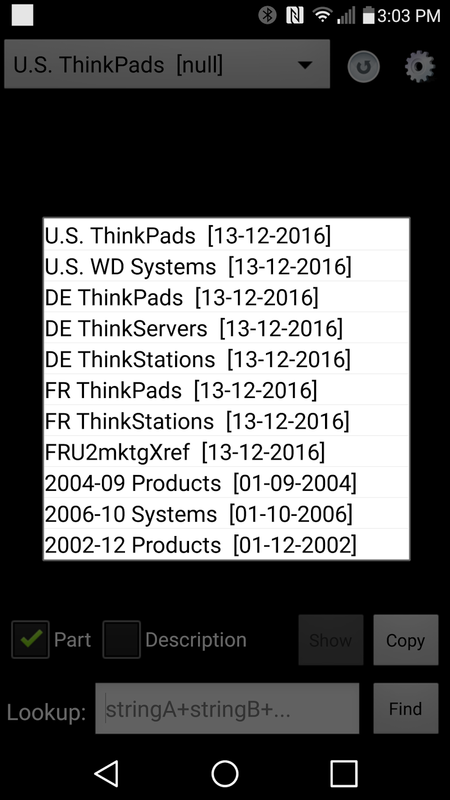 Instead of relying on the user to download a database with Lenovo product info, the latest version downloads and installs eleven databases. The search engine is thus ready to go immediately. Next is to see if there is any interest in an iPhone/iPad version. I set up www.gofundme.com/lenovolookpro to see if anyone will donate towards the cause. I have exhausted my passion and especially my personal funds for all three tools (1. PC Sales Guide/Configurator....2. LenovoLook Pro.......3. FRU to Marketing Cross Reference. I do not plan to make any updates after this, as I have given up on Lenovo.